GAH!!! I can not EXPRESS HOW MUCH FUN we had at this session 40° in JANUARY!!!! The Beyer Farm Trail in Warsaw, Indiana is beautiful around sunset this time of year. We had a few visitors (deer)!!!! Ashlynn made an appointment and we picked out a few of my gowns that suited her body and skin tone. I love that her favorite color is green!!!! I got the dress custom made from LELA Props. The purple and red gowns I acquired trading mommas who bought them for their stylized session. I believe they are both from Sew Trendy!!!! 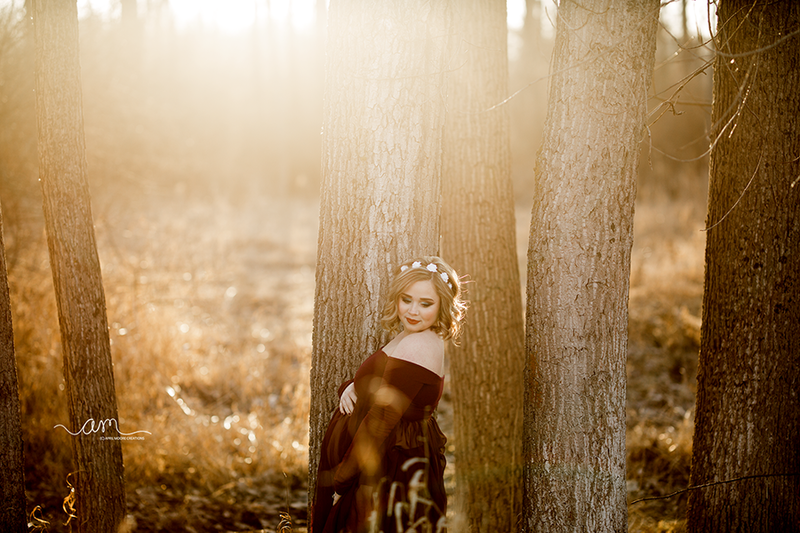 ASHLYNN HIT her session out of the park and we had some pretty amazing light!! !